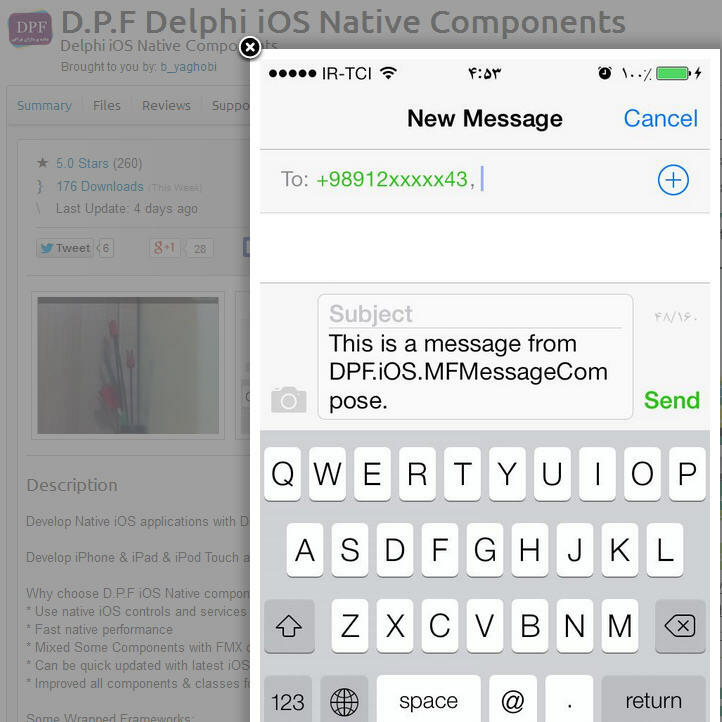 There is an open source suite of Native IOS Components for Delphi XE5 called D.P.F Delphi iOS Native Components. It wraps the native IOS controls from Apple into Delphi controls. It also includes an extensive implementation of the IOS API including everything from MFMailCompose, to recording video, to sending SMS with MFMessageCompose, to MKMapView, to UIDatePicker, to UIWebView, and even NSTimer. Additionally, it comes with 80 different demos showing you each control and how to use it. Simply amazing amount of code here. When you use the controls you have to add a special OnPaint event to your Form (for speed) and then you place a UIView on the Form which all of the other IOS controls are placed inside of. However, you can not use visual Firemonkey controls on the same Form as the DPF controls because of the custom paint event. If you’re developing IOS apps using Delphi XE5 Firemonkey I think this is a must have set of components. Download and check out the DPF Native IOS Component suite.